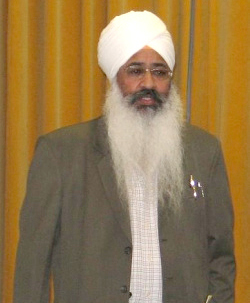 Sukhbir Singh came to present the words of Bhai Sahib Mohinder Singh on the Charter of Forgiveness. This Charter adds to the Charter of Compassion that Karen Armstrong and others have initiated. The work on the Charter began four or five years ago and it is not yet finished. Forgiving is an activity necessary for healing and reconciliation and the overcoming of legacies and memories of injustice, conflicts and wars of the past. This allows people to be liberated from being imprisoned in the past and allows the grace of the Divine to restore peace and harmony among individuals and communities. It provides a framework for Governments to promote forgiveness. This is fine for those who are religious and understand the power of forgiveness but how about those 95% who are not religious? This shows there is a big incentive to forgive because when there is forgiveness then God will be present. 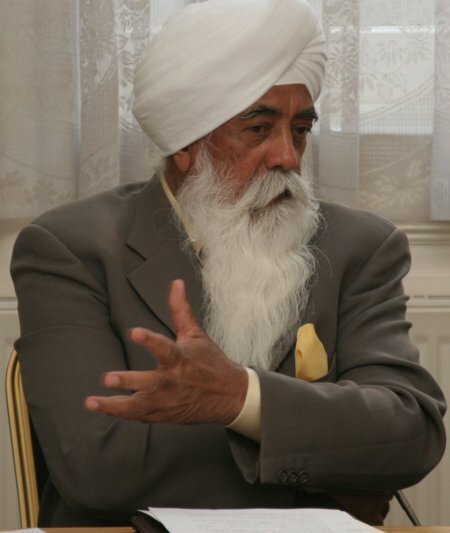 Behind the Charter for Forgiveness is Bhai Sahib Mohinder Singh the spiritual leader of the Guru Nanak Guru Nanak Nishkam Sewak Jatha – Birmingham, UK which is the largest Sikh organisation outside of India, the University of Birmingham and the Fetzer Institute of America. There will be an initial study to research into Charters that already exist. To understand how they were adopted, and who they were adopted by e.g. the Earth Charter, Charter of Compassion, Charter of the United Religions Initiative. This will enable those behind the Charter to learn from previous experiences. There will be research into examples of religious scriptural stories of forgiveness and research into examples in everyday life. A Charter for Forgiveness would resonate with the desire of the Fetzer Institute to bring forgiveness and love into everyday life. We need to have a continual nature of forgiveness as we approach daily life.